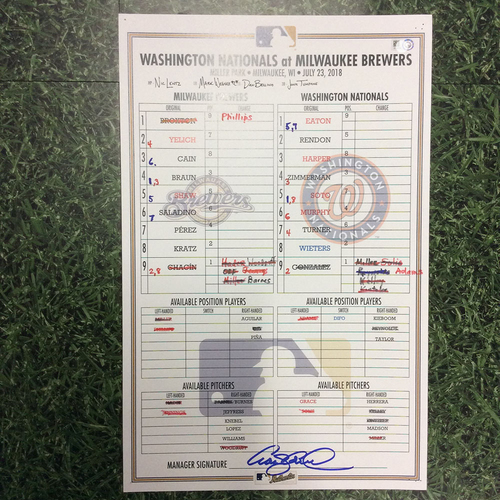 You are bidding on the lineup card that hung in the Brewers dugout during the game that was played on July 23, 2018 - WSH @ MIL. 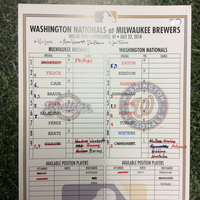 The Brewers defeated the Nationals 6-1 behind a strong pitching by Jhouly Chacin. 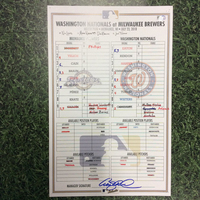 The Brewers starting pitcher went 5.2 innings, while only giving up two hits and one run. 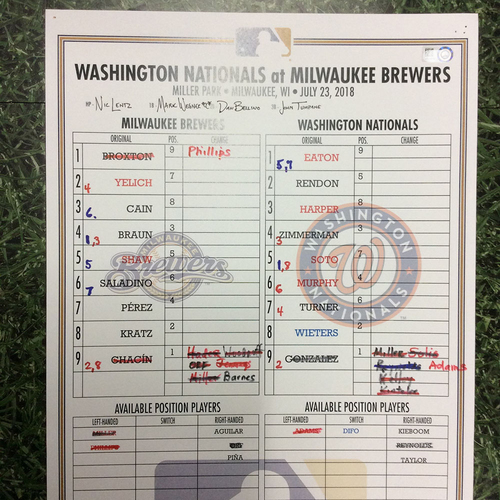 Christian Yelich broke open in the game with a three-run triple in the 6th inning. 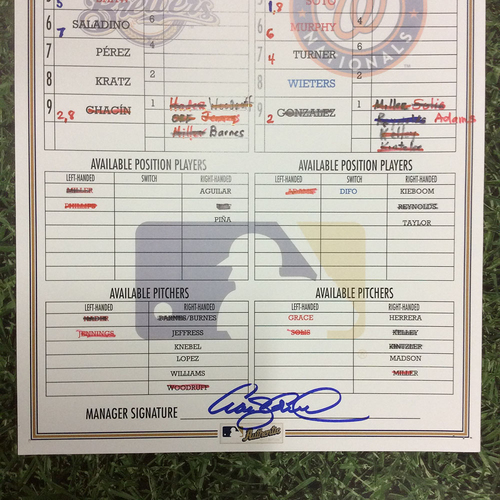 The lineup card is signed by Brewers manager, Craig Counsell, measures 11" x 17" and is authenticated with a MLB hologram sticker. To ensure authenticity, the hologram can be reviewed online at http://mlb.mlb.com/mlb/authentication/ by entering the hologram number listed above. 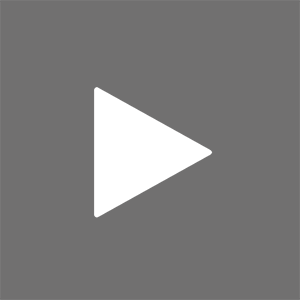 This process helps to ensure that the product purchased is 100% authentic.